Mark Hofmann was a successful document dealer in the 1980s. Why did he kill? Document Examiner George Throckmorton gives his insights into the Hofmann case, and why Hofmann killed. Mark forged the first printed work in America, Oath of a Freeman. The sale of the document was supposed to fetch between $1-1.5 million, but the sale was going slowly. George: He makes a second Oath of a Freeman. He actually made a third, which he was trying to sell them in Brazil, but I don’t know how many people knew that. The second one he sells to somebody up in Idaho and I’m not going to describe him. I know it’d be interesting, but if I describe him, there might be a lot of people that know who it is. But there’s a fellow up in Idaho and he sells it to him for $100,000. He gets $100,000 and then later on the person up in Idaho, he sees where they got the Oath of a Freeman back in New York. And they’re selling it and he says, “This isn’t an original that I purchased. Hofmann told me it was an original.” So, he called him on the phone, and he says, “So is this isn’t an original.” He actually meets with him and says, “This is not an original document, is not worth $100,000. I want my money back.” Mark doesn’t have any money. And apparently an argument ensued or something. And Mark gets physically assaulted. This was the first time in his life, we know of, that somebody actually physically assaulted him. Before he’s dealing with, what do they call him, Mr. Milk Toasts. You know, historians are generally laid back, calm person. I don’t know anybody other than a couple that hollered at me. But most of them I don’t think they do. And nobody had ever hit him before. He had bounced checks on him. He would lie to them about documents and that. And it was well known. He was like that. But they wanted to go back to him because he could provide the documents they wanted. He took orders for documents frequently and miraculously found them. But anyway, this guy up in Idaho, he beat him up. Hofmann didn’t know what to think. Nobody’s ever hit him before and he’s a coward. That’s why they bomb. Because you don’t have to be there when somebody gets injured. And, so anyway, the guy says, “I want my money back and I want it next Monday,” or whatever it was. Now what is he going to do? Now this is speculative, but it seems to make sense from the bits of pieces of puzzle that we put together. He says, “What can I do so he won’t come after me and hit me anymore?” And he’s thinking, you know, “If one of my best friends die, I’ll have an excuse to go to his funeral and he won’t come back. He’ll give me a few days. By then the Oath will be sold back there.” And in fact, I think it was the American Antiquarian Society was meeting to discuss purchasing it again on Tuesday or Wednesday of that week. We know that because we saw the agenda for the meeting. And again, I don’t know how many of the other investigators saw this, but we did. That’s why this is another piece that we had that others did not, so that day of either Tuesday or Wednesday is crucial because that’s when they’re voting to buy it. And Schiller & Wapner convinced him they’re going to buy it so he knows he’s going to get it. So, he needs to postpone just a couple of days before this guy comes back and beats him up again. And so, we found in his possession a three by five card that had five of his closest friends written, their names written on it in Mark’s handwriting. And by the name of Steve Christensen was an asterisk. We’re assuming that he put the asterisk there. But anyway, so it was one of his five closest friends he had to kill so he could go to their funeral. The bombs came up. Steve Christensen was blown up and of course the second bomb was a diversionary thing for the police department, which they believed for several days that they were involved, not in the Salamander Letter, but involved in financial dealings down in Las Vegas. 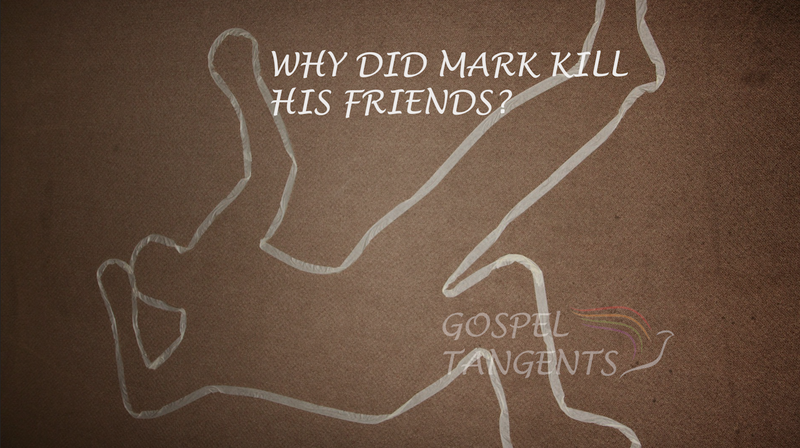 Find out why Mark Hofmann killed his best friends. Don’t forget to check out our other interviews with George! Previous post: Who was the Third Bomb Intended for?